The DIY s’mores at Flesh & Buns are a date night favourite. You can get hands on this Valentine’s Day with the special strawberry-flavoured version on their set menu. 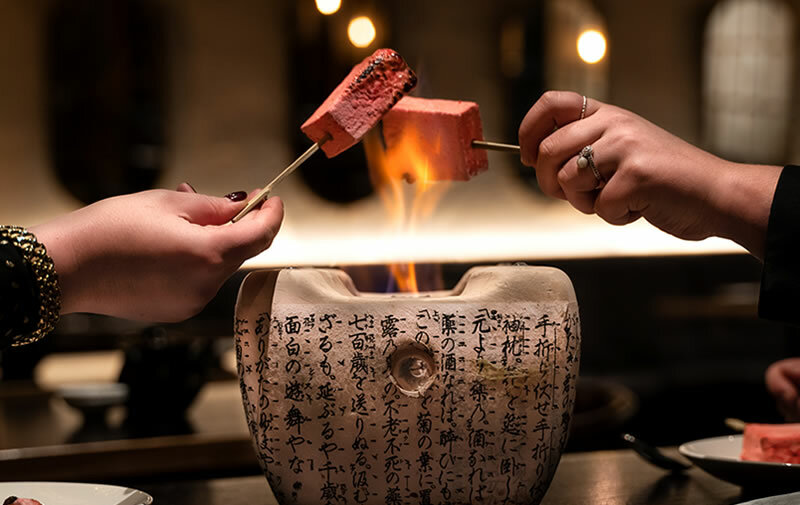 Snap up one of the last few tables at their Fitzrovia izakaya and enjoy a selection of small dishes and maki, followed by brisket and teriyaki salmon in steamed buns. Treat your partner in crime to dinner at riverside restaurant, Northbank – you’ll need their help to devour this indulgent dessert. 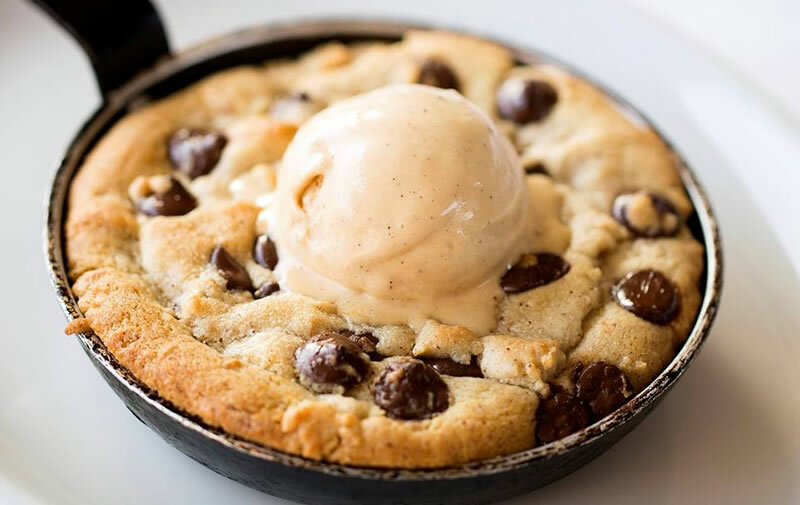 The baked peanut butter and chocolate chip cookie is served warm, with a scoop of malted milk and caramel ice-cream. After dinner, retire to the bar for cocktails or head across the Millennium Bridge for a stroll around the Tate Modern. 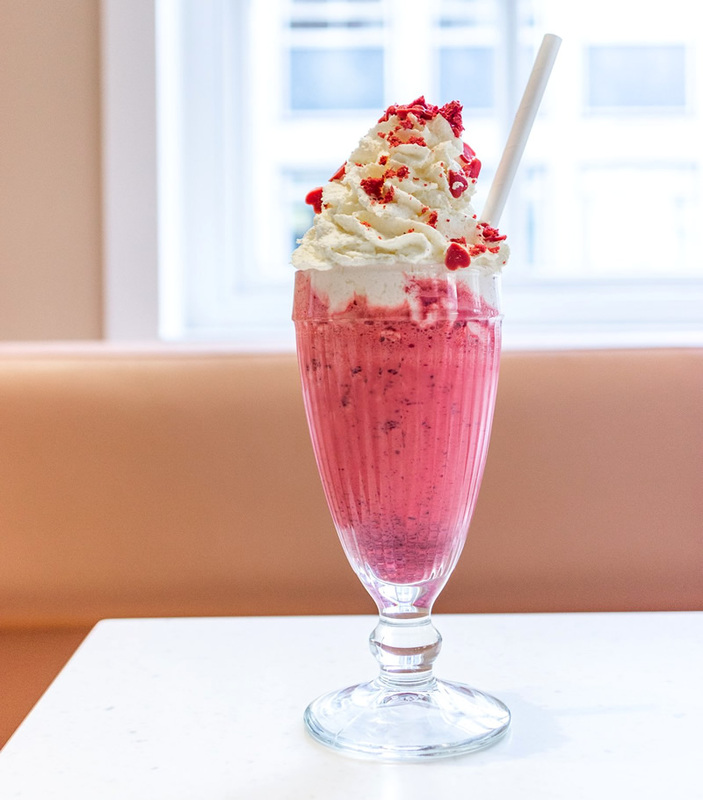 Satisfy your sweet tooth with Fortnum & Mason’s Valentine Red Velvet Shake, made with Ruby Chocolate ice-cream, red velvet cake, and crumbled macarons. It’s available in The Parlour until Sunday, along with their decadent ice-cream sundaes, hot chocolate, and freshly baked scones. 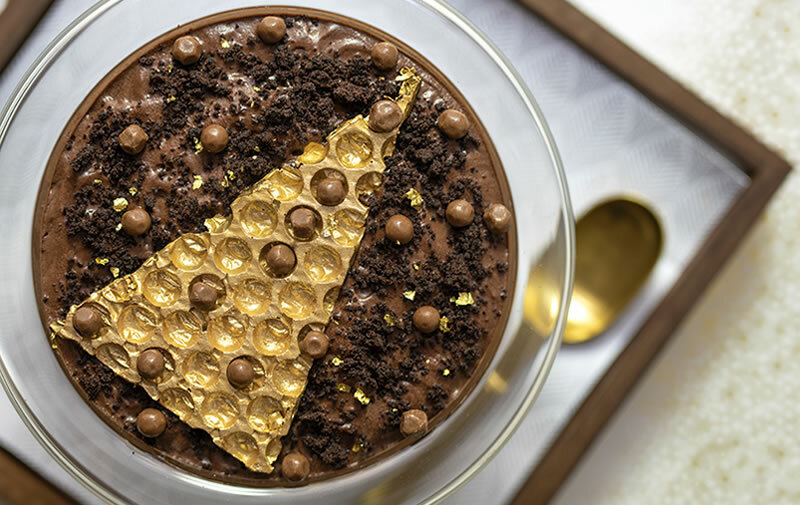 Here’s one for the chocoholics – Valrhona Guanaja dark chocolate, dark chocolate mousse, chocolate brownie, milk Ice Cream, and chocolate pearls. 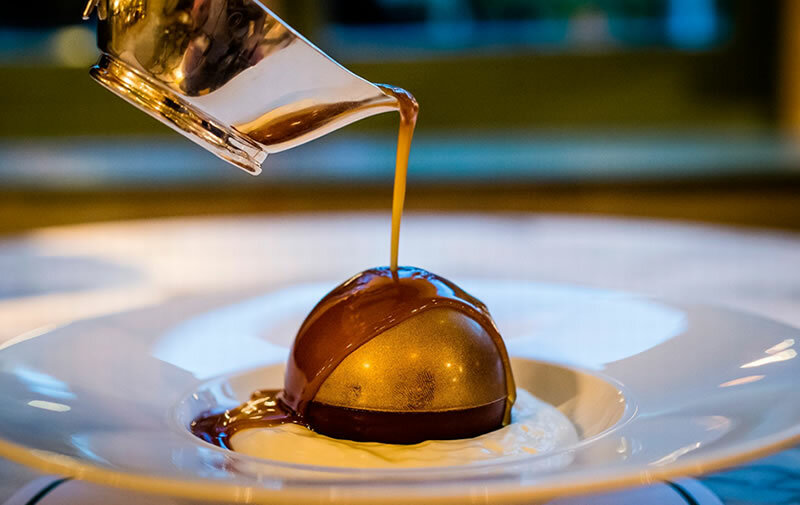 ‘Chocolate Bubbles’ is on the menu at Brasserie of Light, the stunning new all-day restaurant at Selfridges. Book a table, get glammed up, and enjoy a romantic dinner beneath Damien Hirst’s enormous crystal Pegasus sculpture. 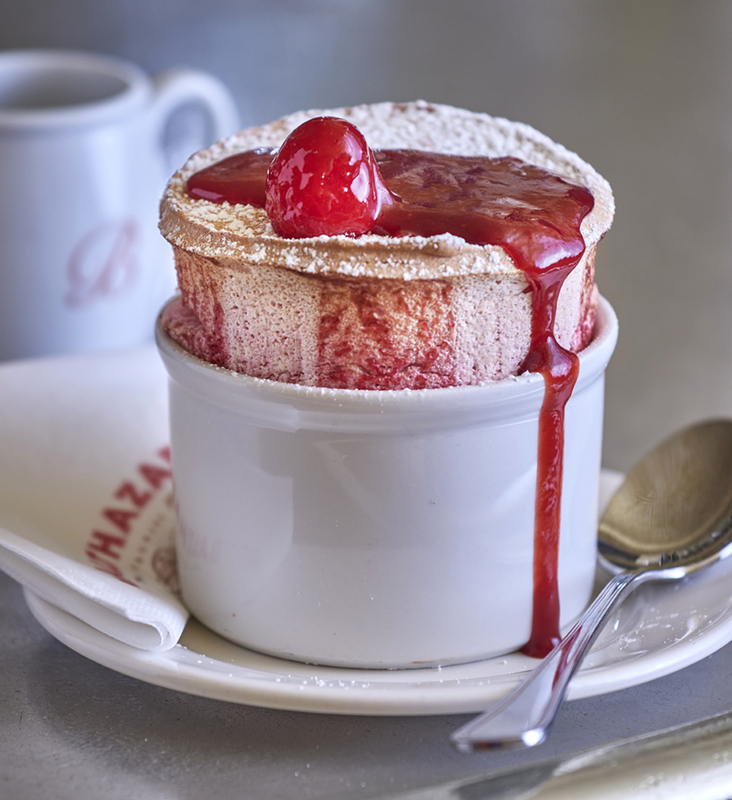 Impossibly light but full of fruity flavour, Balthazar’s raspberry soufflé is the perfect pud to share with someone special. It’s not just for Valentine’s, so keep it in mind for your next Covent Garden date night. 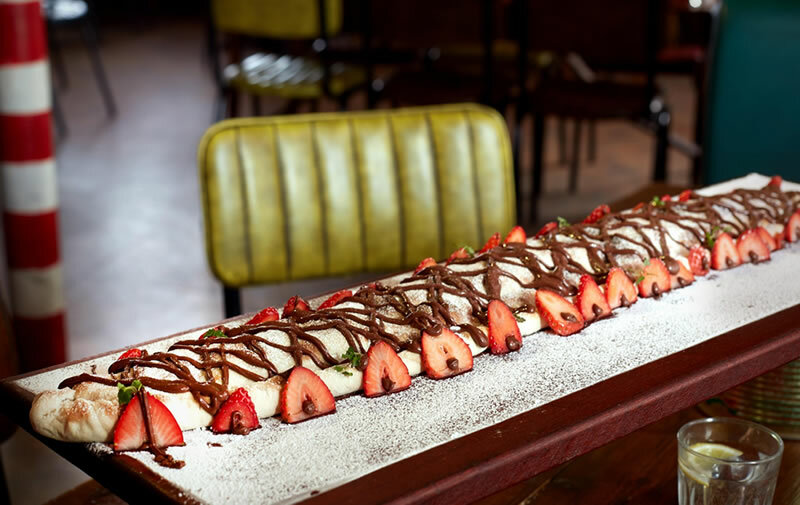 What better way to say ‘I love you’ than with a metre-long Nutella calzone? This Valentine’s Day, you can swap fine dining fuss for a night of pizza, prosecco and duet karaoke at Bunga Bunga in Battersea. Need a last-minute reservation for Valentine’s Day? Visit OpenTable or use our app to find a table near you.